A man robbed a business at gunpoint at the 3700 block of South Nellis Boulevard, near Twain Avenue, around 1 a.m. on Jan. 3. He demanded money from the employee and fled with an undisclosed amount of cash after the employee complied. 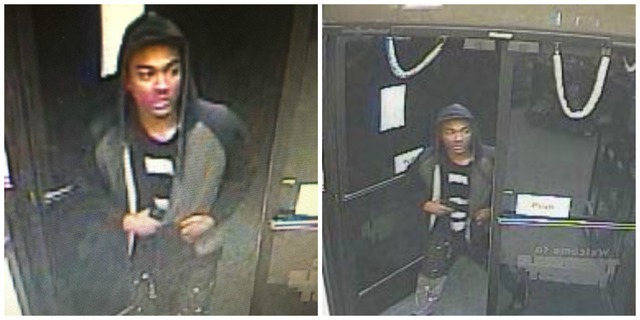 The suspect is described as a black male adult, 18-25 years old, and 160-175 pounds. He was last seen wearing a black hat, a black and gray hooded jacket, black and gray pants, and black and white shoes. On Jan. 1, a suspect entered a business near Sahara Avenue and Las Vegas Boulevard. Police said the suspect pointed a large framed handgun at an employee while making demands for money. No one was injured during the altercation. Suspect: White male, 20s or 30s, 5'7" to 5'10", average build, armed with a large framed black handgun. Around 9:50 a.m. Dec. 31, a white male suspect entered a business in the 1600 block of North Buffalo Drive, near Vegas Drive, and presented a threatening note to an elderly victim. He attempted to rob the victim and left the business without money. 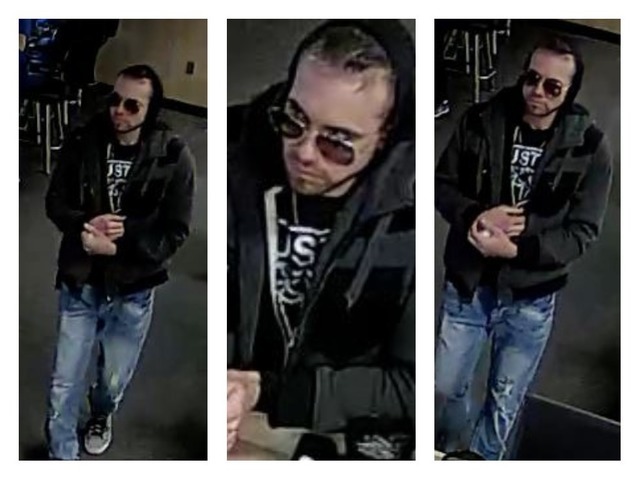 The suspect is described as 5'8"-5'10", thin build with a thin beard and goatee, wearing sunglasses, a dark jacket with a hoodie, a black and white shirt, blue jean pants and gray shoes. On Dec. 25 around 2:55 a.m., a black male suspect entered the business at the 900 block of North Buffalo Drive, near Washington Avenue. He entered the business, threatened the employee with a firearm, and forced the employee to give him money. 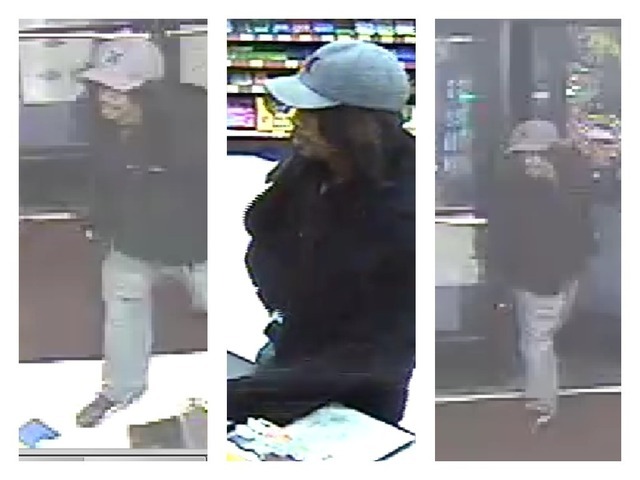 The suspect is described as a black male adult, 5'3" to 5'6", thin build, with a goatee, wearing a gray Hurley hat, possible wig, black hoodie jacket, blue jean pants, black shoes with a white on the sides and armed with a black handgun. Around 12:05 a.m. Dec. 24, a black male suspect entered a business in the 3400 block of North Rancho Drive, near Michael Way, pretending to be a customer. He threatened an employee with a firearm, struck him with a fist and forced the employee to give him money. 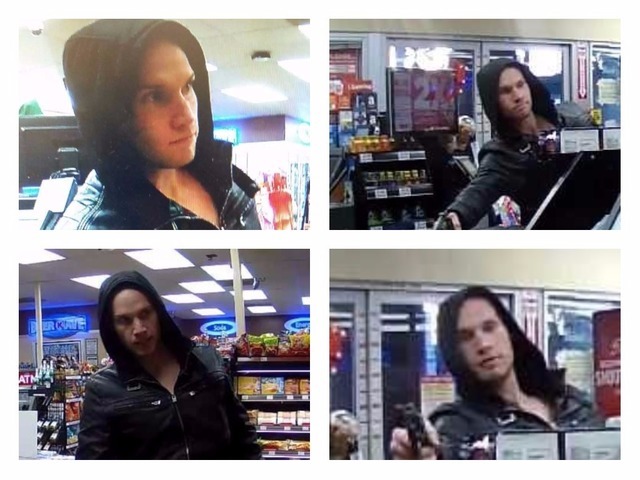 The suspect is described as 5'6" to 5'9", thin build, goatee, wearing a brown jacket with a black hoodie underneath, blue jeans, black shoes with white soles, carrying a black and white backpack and armed with a handgun.